Say no to union-busting by fast food chains! Is this email not displaying correctly? A woman union leader from Thailand faces the threat of legal action by the owners of fast food chains KFC, Pizza Hut and Taco Bell. Her crime? She attended the first international fast food workers’ meeting recently held by the International Union of Food workers (IUF) in New York. The threat of legal action is not the first time time union members have had problems with this company. According to the IUF, "In 2011, three workers were terminated after they established a union and sought to bargain a collective agreement with KFC. The three workers were only reinstated by court order months later." And then please spread the word about this important campaign to your friends, family and fellow union members. Unite Union members at Heartland Hotel are celebrating after ratifying their first ever Collective Agreement. Unite Union has been slowly building membership at this hotel since late 2011 when it was under the Management of the Bella Vista Hotel group. An increase in membership during 2013 coincided nicely with a re-branding and a change in management with the hotel joining the Scenic Circle Hotel Group. Negotiations were initiated in November 2013, and the members ratified an offer from the company on 13 May. 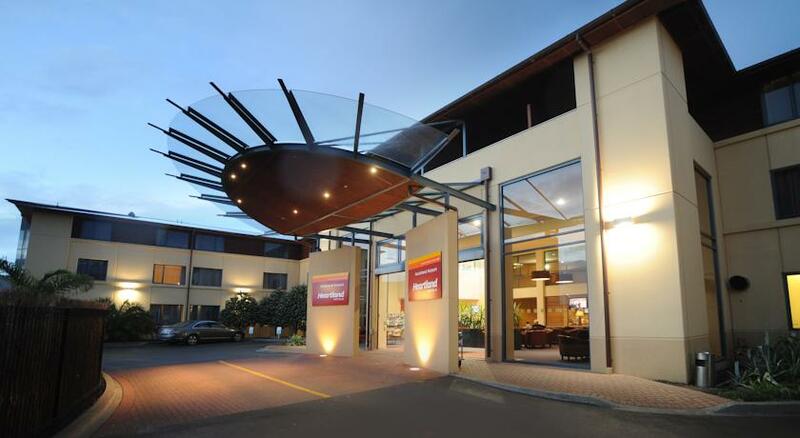 Needless to say, after many years with no pay rise other than the minimum wage increase the Unite Union members at Heartland Hotel are now thrilled to have their years of service and loyalty recognised, with the Collective Agreement also providing for a further pay increase later in the year. Families with new born babies can expect an increase in parental leave payments from 1 July this year. The maximum amount of parental leave payment for eligible employees will increase from $488.17 to $504.10 a week. To work out if you’re eligible for paid parental leave, and what payment you’ll receive, use our online paid parental leave calculator. The minimum amount of parental leave payment for self-employed persons will also increase, from $137.50 to $142.50 a week. The maximum rate is reviewed every year to account for any increase in average weekly earnings. Under the Parental Leave and Employment Protection Act 1987, parents eligible for the scheme are entitled to up to 14 weeks paid leave at a rate calculated on the basis of their average weekly earnings. Paid parental leave will be extended from 14 weeks to 16 weeks from 1 April 2015, and then to 18 weeks on 1 April 2016. The Parental Tax Credit will be increased from a maximum of $150 per week for eight weeks to a maximum of $220 per week for 10 weeks from 1 April 2015. The eligibility for paid parental leave will also be extended from 1 April 2016 to people in less-regular jobs and workers with more than one employer and to "Home for Life" caregivers and people with similar permanent care arrangements. More information about Paid Parental Leave, including forms and sample letters are available online. Autogrill operate in NZ airports as HMSC. They are just the same here. Give these workers your solidarity. You may never have heard of Autogrill, but you know their owners. Is this email not displaying correctly? I have just come back from Germany where I learned about a company that I’d never heard of before. Autogrill, it turns out, is the world’s largest provider of catering and retail services for travellers. They have shops and restaurants along motorways, in railway stations and in airports in 43 countries. With 75,000 employees, it is a gigantic corporation and it’s owned by the people who own Benetton. They can afford to pay their workers decent wages — but they don’t. The company is refusing to consider paying more than what will be the minimum wage in Germany. As a result, a strike began at several Autogrill locations in Germany on 16 April. Those low-paid workers need a strong show of international solidarity to know that they are not alone, that workers in many countries know about their difficult struggle with their employer — and that we are on their side. Unite Union sent a delegation of four workers and officials to attend an international conference in New York at the beginning of May that has launched an international campaign to organise fast food workers. What we saw in the US has made me more confident than ever that we may be at the beginning of a new upsurge of the labour movement there and globally. The International Union of Foodworkers (IUF) convened conference May 5-6 brought together over 80 workers and union representatives from 26 countries as part of building an international fast food union network. 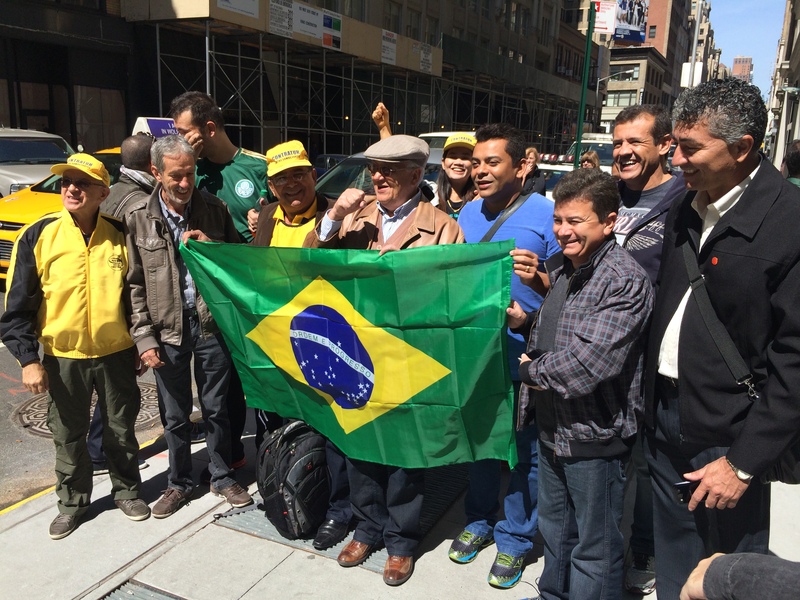 On May 7, participants joined an action in front of a Manhattan McDonald’s restaurant and then delivered a letter to McDonald’s calling on the fast-food giant to raise wages and respect workers’ rights worldwide. At the same time, they announced US-wide strike action at fast food restaurants on May 15 in support of their demand of USD $15 per hour and the right to form a union without fear of retaliation. Unite Union solidarity visit to Philadelphia! Unite National Director Mike Treen and McDonald’s delegate Taylor Mcloon visit Philadelphia as part of a week of action in the USA in support of fast food workers. The Philadelphia rally was in support of an increase in the minimun wage. Tell YUM! BRANDS to stop the anti-union aggression in Thailand now! KFC, stop harassing union members! Only few days after her return from the 1st IUF International Fast Food Workers’ meeting in New York (click here for more) a union representative has been summoned and threatened with legal action from YUM! BRANDS’ managers, which owns famous fast food brands such as KFC, Pizza Hut and Taco Bell, for simply having attended that meeting. This is not the first time that union members face brutal repression from the company. In 2011, three workers were terminated after they established a union and sought to bargain a collective agreement with KFC (read more here). The three workers were only reinstated (click here for more) by court order months later. This harassment spanning three years demonstrates that Yum! Restaurant International (Thailand) does not recognize and respect the human right to freedom of association and collective bargaining and is in breach of its obligations under the OECD Guidelines on Multinational Enterprises and the UN Guiding Principles on Business and Human Rights. Click here to send a message to YUM! BRANDS – stop the anti-union aggression in Thailand now!